Fettucini alla Bolognese is my daughter’s go-to dish when we visit one of our favorite Italian restaurants, Il Corso, on W 55th St. in New York. 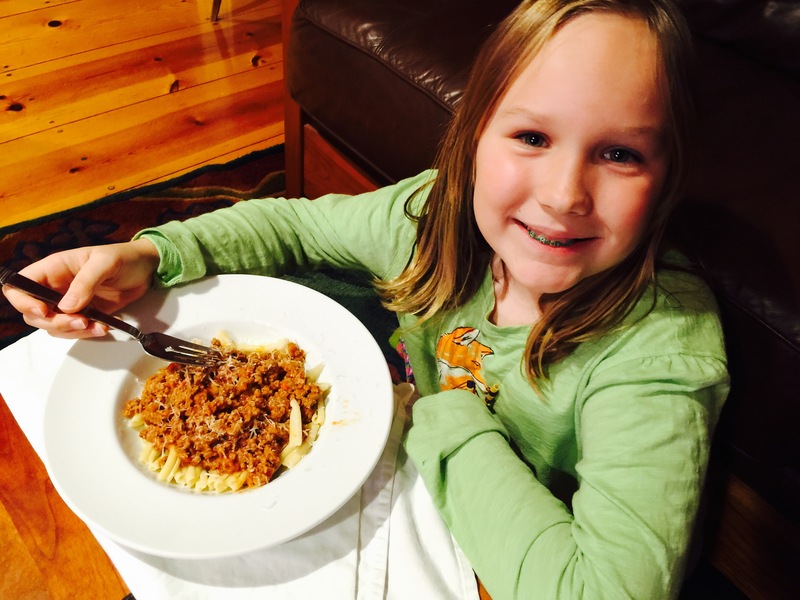 But we only go there once a year, so it was about time that I tried my hand at Bolognese at home. The dish isn’t difficult, but like many great dishes, the better the quality of the ingredients, the better the result. I use grass-fed ground veal that I get down the road from a local dairy farm: Sweet & Salty Farm. I use ground Berkshire pork, full of “good fat.” And I use guanciale, a cured pork product that comes from the cheek (jowl) of the pig. I buy the Berkshire pork jowls raw and cure them myself. The rest of the ingredients are organic, when available. Place the olive oil and butter in a large sauce pan with a heavy bottom over medium heat. Once the butter has melted, add the onion, carrot, celery and garlic. Keeping the heat on medium, sweat the veggies and allow them to get soft but not brown, about 10–15 minutes. Turn the heat on high and add the guanciale. Stir it around to keep it from sticking. Let the guanciale cook for a minute, then add the veal and the pork, constantly stirring until the meat browns. Once the meat has browned, add the tomato paste, ground tomatoes, milk and wine. Once it comes to a boil, reduce the heat to a medium-low, and let it simmer for 60–90 minutes, stirring occasionally. 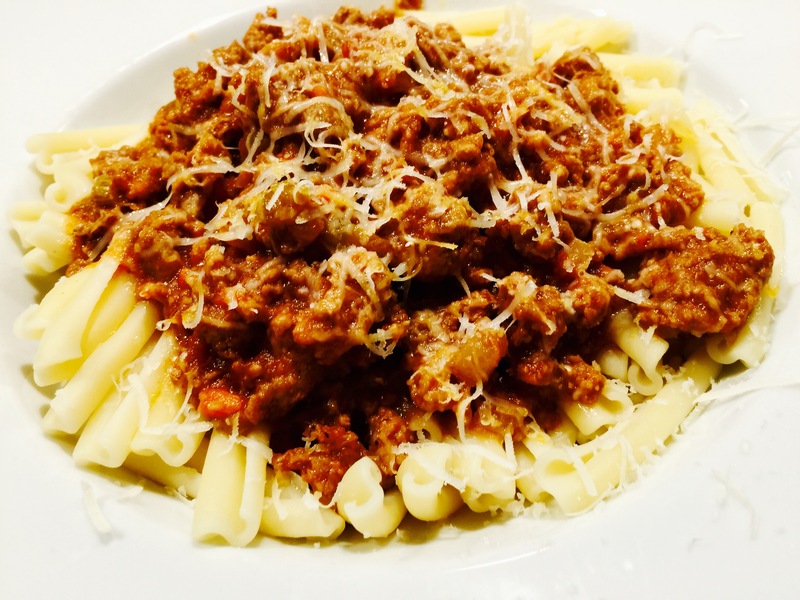 Traditionally, ragu Bolognese is served by placing a portion of cooked pasta in a pan, and adding just enough sauce to have it cling to, not drip from, the pasta. It’s not soup! To keep this dish gluten-free, I use GF pasta. Our favorite brand is Garofalo. If she’s happy, I’m happy!